A second job is not a solution. Do this instead. 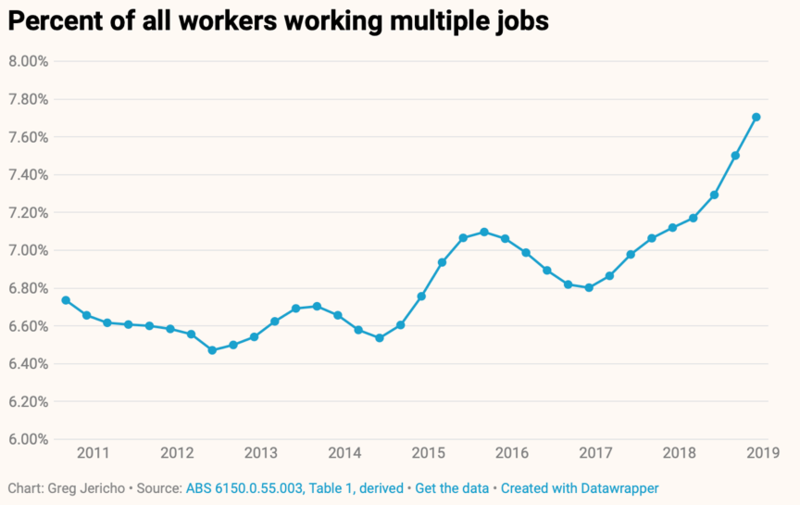 There’s a million Aussies working multiple jobs. Are they being conned? The view from 30,000ft says that the Australian economy is kicking on pretty well. But down on the ground it’s often a different story. And it’s one of the challenges that developed economies all over the world face. How do we make sure everyone benefits from economic growth? How do we make sure no one is left behind? 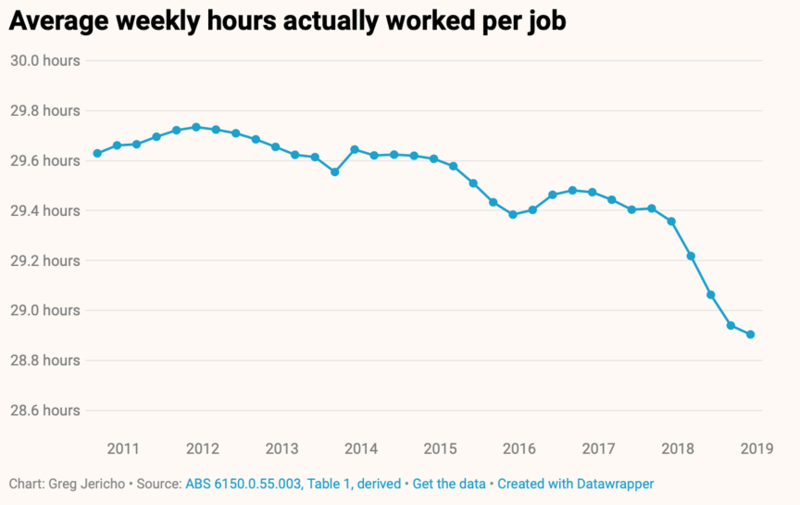 The latest damning statistic on this front is the fact that there are now 1 million Australians working multiple jobs. And when you look at the trend, it’s a pretty concerning picture. 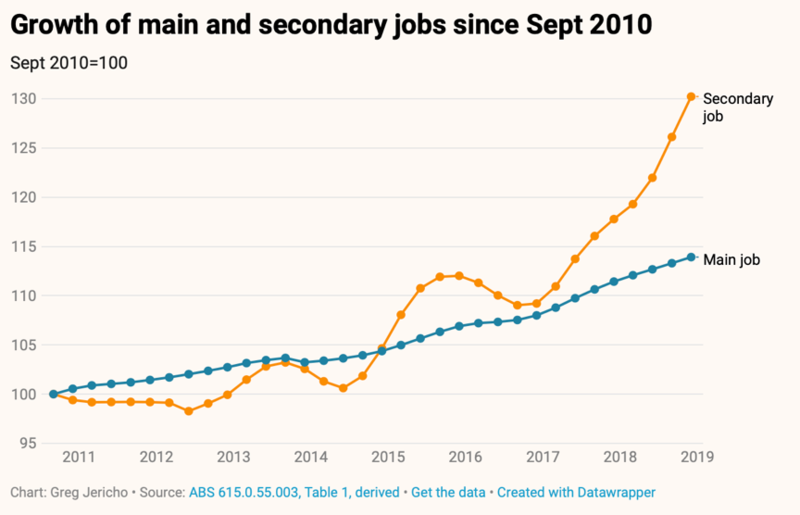 There’s been a surge in secondary jobs since the start of 2017. In 2018, 30% of new jobs created went to people who already had another job. As you’d expect, there’s been a surge in the number of workers working secondary jobs. It’s still only 7.7% of the workforce, but that’s enough to tip the 1 million mark. And this all goes hand in hand with a fall in the average weekly hours each job is offering. There’s also been a sharp tick down in average hours since the start of 2017. 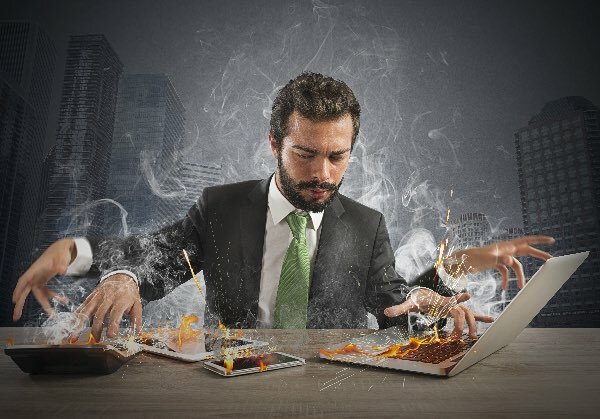 “Very few people work more than one job for the fun of it – you seek out more jobs because your main job does not pay enough for you to make ends meet. Yep. For some people, things are getting tougher. It’s getting harder to make ends meet. What worries me is that this seems to be a structural phenomenon. This isn’t about the economic cycle (because things are fairly decent right now), and it’s not about policy settings (which haven’t really changed recently). Rather, this seems to just be a change in the nature of work. The playing field is changing. We’ve all heard about the rise of the gig economy. Mostly we’re talking about individuals when we say that, but more and more, companies are living in the gig economy too. The economy is more cut-throat. More hectic. Competition is turbo-charged. If you’ve carved out a nice niche for yourself, there’s some teenager with an app for what your business does, already raising seed funding. Our employment relationships are changing because our economic relationships are changing. Businesses have to be nimble, so employees have to be too. This is a shame. And for a million Australians it’s a major headache. But there’s no simple fix. You can’t put the internet back in the box. You can’t undo all of the structural changes the economy has seen in the past twenty years. We need to be resilient. What I think all this means is that we can’t rely on the economy and the market to provide for us. We can’t just expect the economy to give us solid, good paying jobs any more. It might happen, but you’re taking a gamble if you’re relying on it. And so I think that means we need to take our fortune into our own hands. And I think what I would say to the million Aussies working two jobs is take a look at property investing. If you’re looking for a side hustle, maybe this is it. There is an investment phase – it’s not going to put bread on the table straight away. You need to put in a bit of study and work first. But the upside gains are huge. I’ve seen many students come to me working two jobs, only to leave a few years later with a single six-figure income stream. If this is the era of the side-hustle, why not make your side hustle something with massive potential? Jobs just aint what they used to be.